In the National Basketball Association – the Miami Heat are on the road at the Cleveland Cavaliers. The Miami Heat come into Tuesday with a 29-21 record on the season. The Heat are fourth in the Eastern Conference, and just a game behind Cleveland. Miami is 16-11 when playing on the road, and they have won back to back games. The Cleveland Cavaliers are 29-19 on the season, and third in the Eastern Conference. The Cavaliers are 5.5 games behind the top seeded Boston Celtics. The Cavaliers have won 18 out of 24 games at home this season. The Cleveland Cavaliers are -7.5 over the Miami Heat in this game on Wednesday. The Cleveland Cavaliers are looking for their third straight win. Cleveland beat the Indiana Pacers and Detroit Pistons. In those two games, Cleveland scored 118 points per game. On the season, the Cavaliers are scoring 109.9 points per game, which is 5th in the league. Defensively, the Cavaliers need to improve as they are 26th out of 30 teams in the league, allowing just shy of 110 points per game. The Cavaliers are once again led by LeBron James. James is scoring more than 26 points per game, with 9 assists and 8 rebounds per game. Kevin Love continues to put up numbers, with 18.2 points and 10 rebounds per game. The Cavaliers are seeking their fourth straight trip to the NBA Finals. The Miami Heat are looking to tie the Cavaliers at the top of the Eastern Conference. The Heat have back to back wins over the Hornets and Mavericks. They scored 95 points in both games. The Heat are scoring 100.4 points per game, which is the third worst in all of the league. Defensively, Miami has been fantastic, third in the league, with 101.1 per game. The Heat have seen their big man Hassan Whiteside lead the way most of the top. The big man is scoring more than 14 points per game, and ripping down 12 rebounds per game. Goran Dragic, the point guard for Miami leads the team with 17 points per game. The Heat lost Dion Waiters, who was third on the team in scoring for the remainder of the season. The Cleveland Cavaliers are playing better basketball right now, and LeBron James is going to be the best player on the court in this game. The Cavaliers put forth a great effort, as LeBron and his boys want to beat his former team. 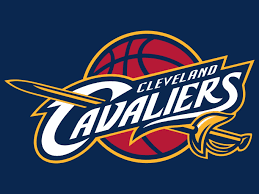 Look for Cleveland to take care of the Miami Heat in this home game on Wednesday. The final bet on Wednesday out of the National Basketball Association is the Cleveland Cavaliers -7.5 over the Miami Heat.